STARS are the charm of the christmas decoration & a christmas decoration is incomplete without the stars in it . WE can decorate the stars on the windows ,the stairs , as a centrepiece ,outside the house ,etc . 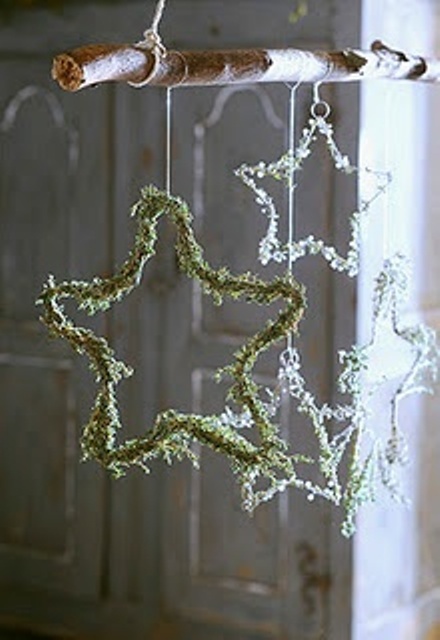 STARS can be made of anything like fresh garland , or buttons , or even wood etc . WE can make crafts by using papers which too look very preety . U cant avoid making stars becouse they are the real charm of the christmas decoration .GODFATHER STYLE has collected some beautiful decorating ideas with stars which are must watch .TAKE A GLANCE. Previous Article12 STYLISH BLACK & WHITE CHRISTMAS DECOR INSPIRATIONS……. Next ArticleATTRACTIVE SPACE SAVING CHRISTMAS TREE INSPIRATIONS…..